Lord Joseph Lister revolutionized surgery in the late 19th century by introducing antiseptic methods. These drastically reduced the incidence of infection and death, enabling the field of surgery to expand rapidly. In the 1860s, mortality rates for surgeries were at 45-50% due to infection. Rates of infection were especially high in trauma cases, such as compound fractures. Dr. Joseph Lister, then-Chair of Clinical Surgery at the University of Glasgow, set out to find an effective way of preventing infection from setting in. Drawing upon Pasteur’s revolutionary idea that micro-organisms are the cause of infection and disease, not bad air or miasmas, Lister sought a way to either kill the micro-organisms in the wound or stop them from entering the wound. His weapon of choice was carbolic acid, a chemical that had been used to protect railroad ties from rotting and treat sewage in Europe. Lister packed and covered wounds with lint and gauze soaked in carbolic acid, and then layered these with tin and plaster to create a barrier to the air. In 1867 he presented his positive results to the British Medical Association, thus beginning antiseptic practices. The mortality rate of his surgical ward had decreased to 15% by 1870. 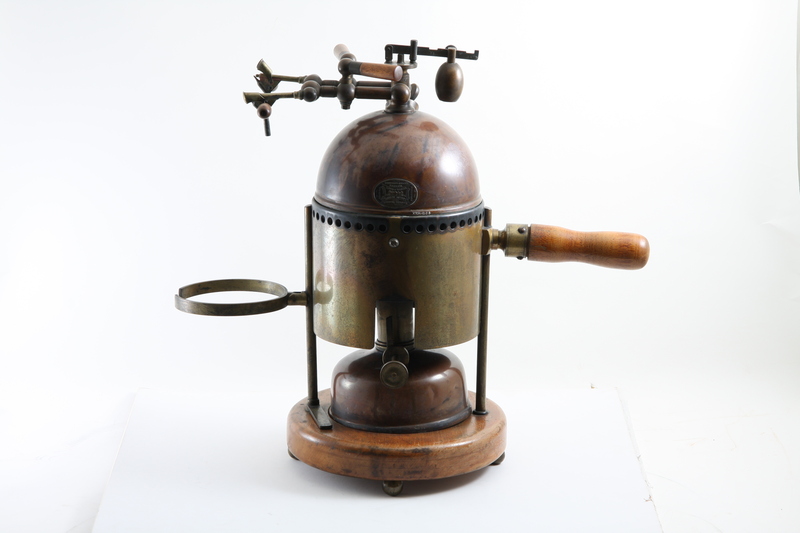 In the early 1870s he improved upon this system by developing wound dressings impregnated with antiseptics, catgut sutures soaked in carbolic acid, and the carbolic acid steam sprayer. 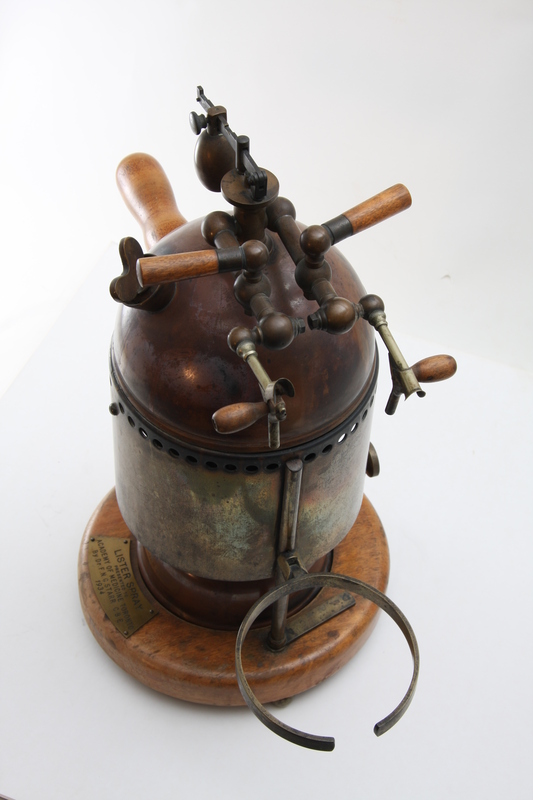 The carbolic acid sprayer, pictured here, was used to disperse carbolic acid into the air to kill the bacteria in the air around the surgical site. 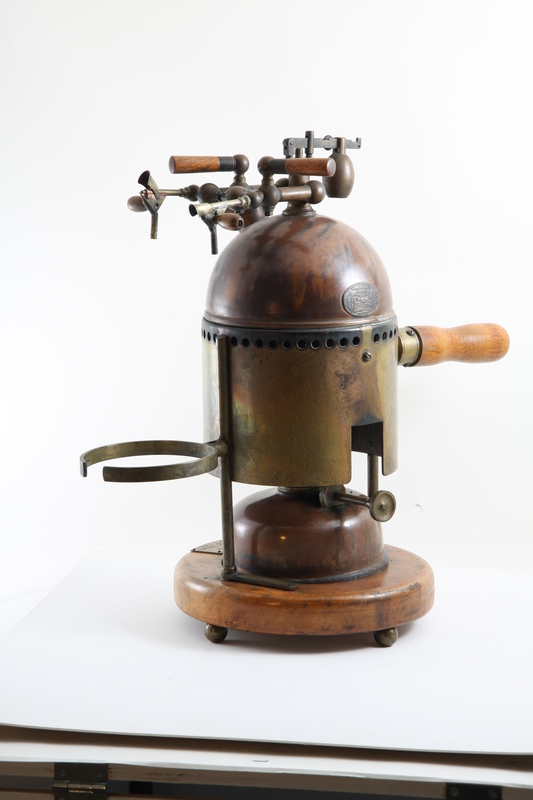 The steam-sprayer was used until 1887, when Lister renounced it based on findings that most air-borne bacteria were not pathogenic, nor removed by the spray. Lister also helped promote anti-septic practices by recommending that surgeons wash their hands, as well as their instruments, with carbolic acid solutions before and after surgery. Lister’s antiseptic system was well received in Europe, but widely critiqued in Britain. By the 1880s, though, declines in the rates of post-operative infection were convincing many of the benefits of antiseptic practice.